Sony Pictures Animation has acquired the rights to the Atari video game RollerCoaster Tycoon. Harald Zwart who directed The Karate Kid remake, is leading the film production of this video game adaptation. He will be an executive producer on the film and possibly end up directing it. The films screenplay is being written by David Ronn and Jay Scherick, who wrote the upcoming Zookeeper and The Smurfs. It is being developed as a live-action/CGI hybrid film. I've never played RollerCoaster Tycoon, but the game was created by Chris Sawy and it's a strategy computer game that simulates theme park management. Each game challenges players with open-ended amusement park management and development while allowing them to construct and customize their own unique roller coasters. I seriously don't know how this will make an interesting movie. Building up and managing theme parks? There's no doubt that the film will be made in 3D, and that they will take the audience on many crazy 3D roller coaster rides. Maybe that is the appeal for them. I definitely don't see a decent story in this idea at all, but I guess it doesn't matter if kids are going to be the main audience for the film. 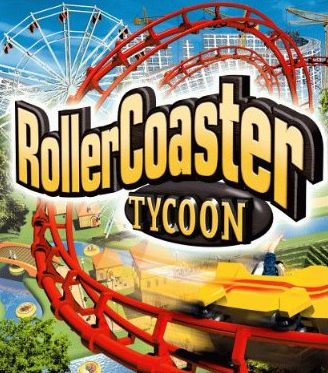 What are your thoughts on Rollercoaster Tycoon being adapted for the big screen? MASS EFFECT Is Headed for the Big Screen! GARBAGE PAIL KIDS Headed Back to the Big Screen!